Back in October last year we covered news about Google being a major contributor to a $542 million funding round to support tech startup Magic Leap. 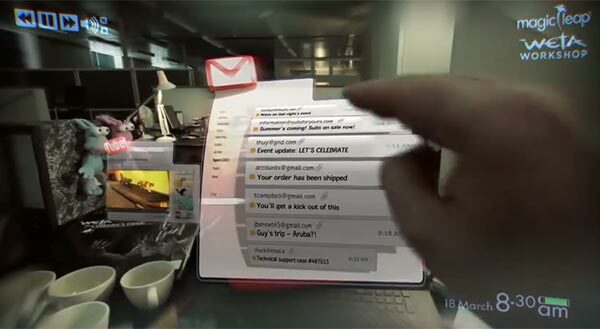 This visual-display startup is working upon a technology it describes as 'cinematic reality' – hinting at something a step beyond the run-of-the-mill augmented reality (AR) stuff that we have seen from other companies to date. Magic Leap CEO Rony Abovitz was scheduled to present at TED this week and also an AMA session with a Magic Leap game developer was cancelled at the last moment, reports TechCrunch. With so many waiting to see and hear more from this secretive company that's a shame – however a brief video was published as an apology for the TED absence. It is embedded below. "Unfortunately, we couldn’t make it to TED, but we wanted to share one of the things that we’d planned to share at the talk. This is a game we're playing around the office right now (no robots were harmed in the making of this video)." The Victory game app runs and the user selects a weapon from a selection available on a desk. These weapons look like they were models already in place rather than being generated by the AR software. 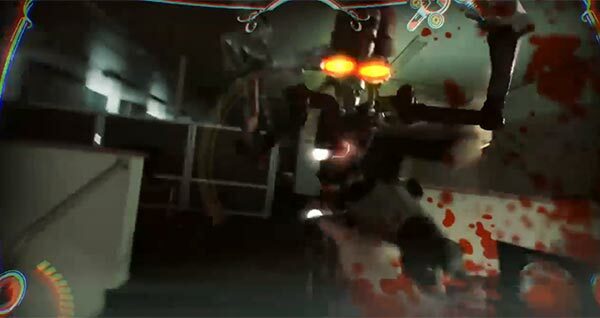 After the game is started enemy combat robots start to appear through portals that open up in the ceiling of the offices. They fit in with the 3D space of the office environment. After disposing of a few of these mechanical foes the player wins an upgrade autonomous sentry cannon support. This is strategically placed by the player. The game seems to end as the player disposes of one killer robot that got into melee range. However, just as the player takes a breath, a large robot-tank bursts through the office wall to zap the player into oblivion. It's an interesting and appealing demo. However it's hard to know how much of the video is concept and how much is actual live-use footage. Whatever the case it is clear that Magic Leap is promising this kind of experience from its technology. Let's hope it can deliver thanks to the big-bucks backing it has had from the likes of Google. Magic Leap releases embarrassing CG mockup, continues to show no evidence of any actual working hardware. reports from the few people who've actually seen it reveal it to be a table-sized object which can only view a static scene (and thus needs to track nothing, only be input with pre-set object locations).